Alexander Historical Auctions, located in Maryland, has a unique lot available on its website right now: Adolf Hitler’s personal bunker phone. 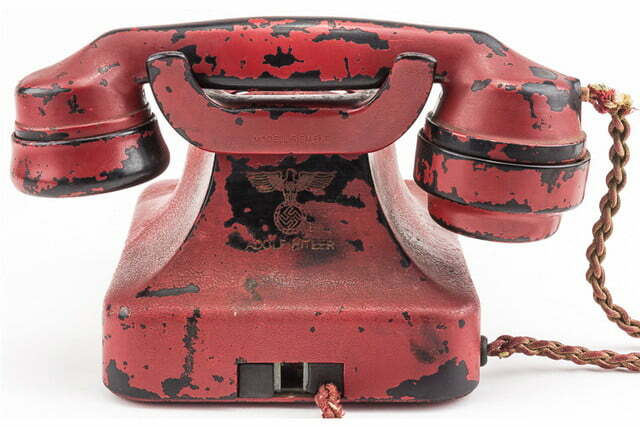 The chipped, red, rotary handset was taken right from the German leader’s bunker following the capture of Berlin in 1945 and is expected to fetch as much as $300,000 from a specialist collector. While most people might shy away from items owned by history’s most notorious war criminal, some like an off-beat, creepy vibe with their collectibles. And there’s no denying that this is an important piece of history. The story of how the phone ended up on the auction block is an interesting bit of history in itself, though. Following the Allied occupation of Berlin, Brigadier Sir Ralph Rayner entered the city and was given a tour by the Soviets. Purportedly, they offered him Eva Braun’s phone as a souvenir, but eventually offered him this one instead, when he claimed his favorite color was red. That phone went home with him, and Rayner continued as a British politician after the war. When he eventually died in 1977, the phone was passed on to his son, Ranulf, who is now auctioning off the one-of-a-kind artifact because the insurance costs for it have become too great. He hopes that a museum will purchase it and preserve it for posterity. In his interview video, Ranulf explains that Hitler used the phone as a portable device, taking it everywhere with him. 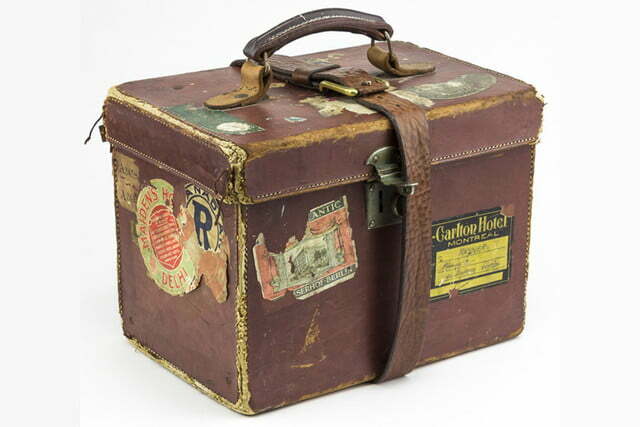 It was used not only in the bunker, but in trains and cars and in his field headquarters. 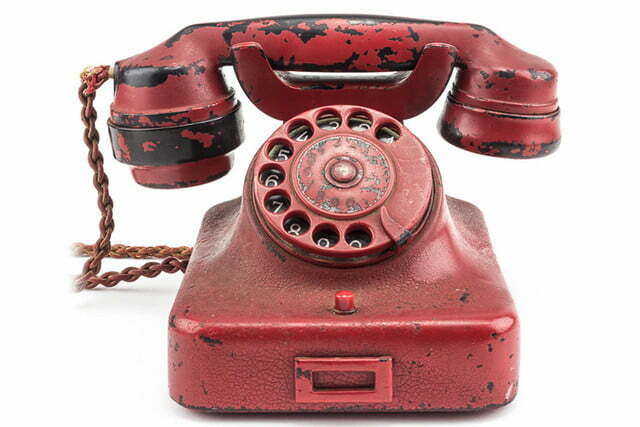 As the auction listing points out, an argument could be made that this phone is one of the most macabre historical pieces in the world, having borne the wishes of a man who ordered the extermination of millions. 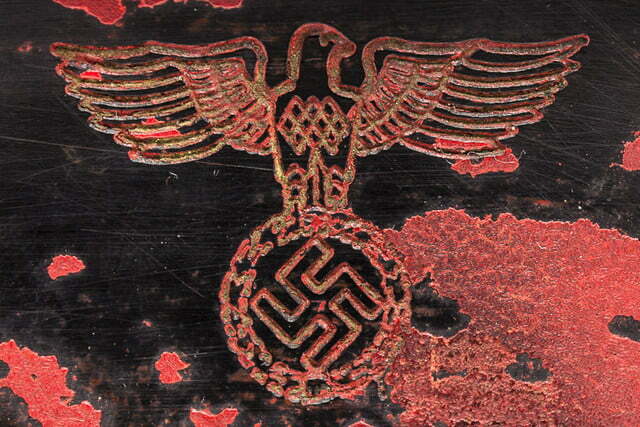 To confirm the device’s authenticity, the auctioneers have collated reports from Hitler’s own personal telephonist, as well as historical images of Brigadier Rayner and the handset in newspapers and private collections. Along with the handset itself, the lot comes with the original case that Sir Rayner used to bring the phone back from Germany, along with some of its wartime tags and stickers.